This week's topic was favorite LGBTQ+ reads! Talk about your favorite books that feature LGBTQ+ characters or are by LGBTQ+ authors. Since I'm queer myself, I was excited to tackle this topic! There are so many great LGBT books I haven't gotten a chance to read yet, but here are the ones I've read that are worth a read. Okay, this one is a bit of a cheat -- this isn't a book, it's a webcomic. But I'm still going to count it. 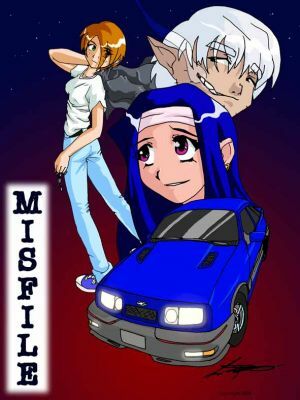 I've read "Misfile" on and off for years; the webcomic started in 2005, and it's still going. It focuses on Ash and Emily, two victims of a "misfile" up in Heaven. The mixup leads to Emily suddenly becoming two years younger (thus losing her acceptance to Harvard along with the two years), and Ash, a young man, suddenly being viewed as and treated as female by everyone, despite still being male. The reason I ranked this pretty low on the list is because I'm of two minds of how being trans is portrayed in the comic. While it doesn't shy away from the fact that Ash is a trans male, and does its best to deconstruct the standard "gender bender" comedy plots, it can still be problematic, due to the comic using language and ideas about being trans that were acceptable in 2005... but here, twelve years later, now seem iffy at best. I know trans audiences tend to be divided on this webcomic, and, as a cis woman, it's really not my place to judge. I will say that it has a great cast of characters, and an admirable pro-acceptance theme, and it was the first piece of fiction I ever read that had a trans lead, so I'll let you be the judge. 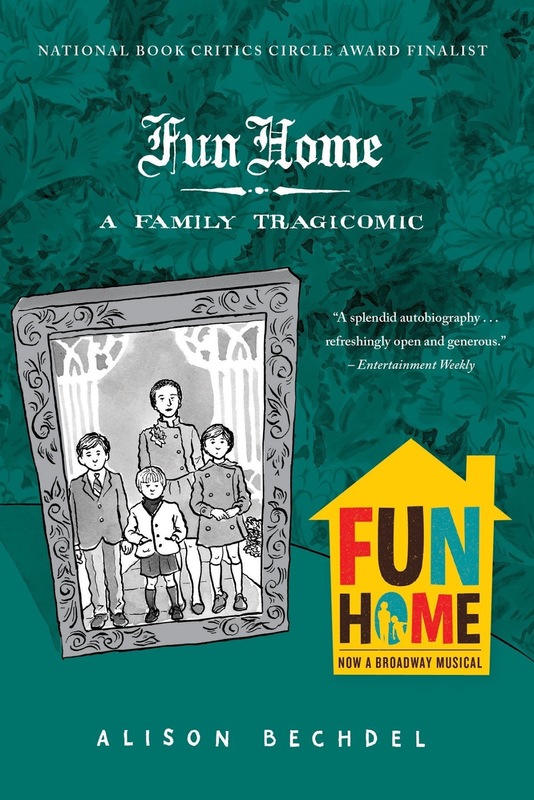 I admit I'm a bit more fond of the musical "Fun Home" than I am of the graphic novel from which its adapted, but the graphic novel is still great. (Otherwise, it wouldn't be on this list.) Alison Bechdel's autobiographical comic about her discovering she's gay, and subsequently finding out her dad is gay, and his death shortly afterwards, make for a compelling, heartbreaking story about sexuality, family, isolation, and growing up -- and connecting with one's past. The artwork is lovely, and Bechdel's writing style really helps pull the reader into her world, and feel her heartbreaks as the story unfolds. If you liked the musical, I'd definitely suggest giving the original a read. True, this novel only has two LGBT characters (one leading character and his boyfriend), and the story isn't primarily about them. This is not the most bountiful representation in the world, or even on this list. But as a novel, "Perks of Being a Wallflower" is truly incredible. The story, told through letters, is well-known by most people; a cripplingly awkward and depressed teenage boy attempts to navigate his first year of high school, and is helped by a pair of older students who take a liking to him and induct him into their group. The novel is an exploration of fitting in, sexuality and all its consequences, and how one views themselves effects how they relate to others. It's a beautiful novel, one that means a lot to me, and I think anyone who's ever felt isolated and alone can relate -- LGBT or not. I've talked about my love for this book before. Nancy Garden's 1982 novel focuses on the blossoming friendship, and later romance, between serious, studious Liza, and carefree, artistic Annie. The first half of the story follows their developing relationship, while the second half deals with the fallout, since, you know... 1980s. 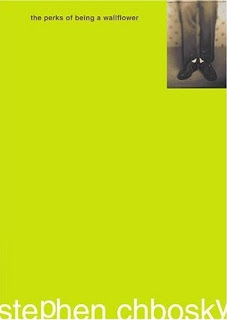 This is a book I read very briefly after coming out, and it's by far one of my favorite books of all time. 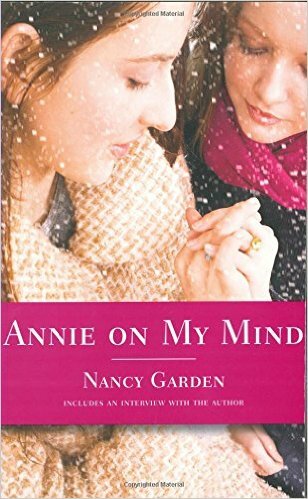 I love the nostalgic, lovelorn feeling the entire story has, and Annie and Liza are adorable together. It also features a much-needed happy ending for our leading ladies -- something we could all use, especially for the LGBT community under this presidency. And finally, a book that I've read multiple times, and I think of as a modern classic. 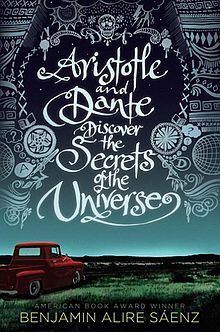 "Aristotle and Dante" is sort of the 2010s response to "Annie," as they're very similar in a lot of ways -- an "opposites attract" queer romance set in the 1980s, with a lot of emotional drama before an ultimately happy conclusion. However, what makes me rank this book #1 is the phenomenal writing. This is the only book I've read by Sáenz, but his prose and character voices are wonderful, and I definitely want to read more from him. Ari and Dante, our two leading men, are both blessed with clever, unique, witty voices, and they have amazing chemistry, even on-page. You root for them almost immediately, and as their relationship develops and changes, you empathize with all of their struggles, and cheer when they come out on top. If you haven't read it yet, I highly recommend it. I read it all in one day, and I enjoyed every second. Thank you for reading this list! As I wrote up this post, I realized I do not know NEARLY enough LGBTQ+ books. What are your suggestions? Let me know in the comments below! If you liked this post and would like to see more from me, consider supporting me on Patreon! Patrons get to vote on what content they see here, and will also get access to cool stuff like free books. If you want to be part of that, check out my Patreon page here!